On behalf of admin of JML Law, A Professional Law Corporation posted in Car Accident on Thursday, Nov 02 2017. A couple who survived the Las Vegas mass shooting died two weeks later in a car accident not far from their home in Riverside. Lorraine, 54, and Dennis Carver, 52, were driving their Mercedes along Avenida de Arboles when their car steered oаf the road and crashed into brick pillars. The collision caused the car to explode into flames. When medics arrived, Lorraine and Dennis were pronounced dead at the scene. The car crash caught the media’s attention as the couple were among tens of thousands of survivors of the Las Vegas mass shooting on October 1. The mass shooting occurred at the Route 91 Harvest music festival when a gunman opened fire from the nearby hotel, killing 58 people and injuring many more. After the fatal crash, the couple’s relatives told the media that Dennis and Lorraine grew closer after surviving the deadly mass shooting in Las Vegas 15 days prior to the collision. 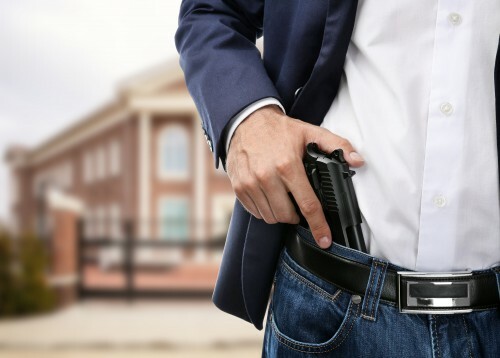 How to obtain compensation in mass shootings? Thousands of Las Vegas shooting victims – such as Lorraine and Dennis – were able to obtain compensation through charities, fundraisers and local victim compensation programs. Even though the couple was not injured during the shooting, they could apply to one of the financial aid programs for mental health services expenses. It’s unclear if the Las Vegas shooting left the couple with Post Traumatic Stress Disorder (PTSD), anxiety, panic attacks or other common mental issues suffered by victims of something as horrible and traumatizing as a mass shooting. Residents of Los Angeles who were visiting Las Vegas during the mass shooting last month were also eligible to apply for CalVCB benefits. More often than not, proving that you were one of those affected by a mass shooting may require you to jump through quite a few legal hoops and provide sufficient evidence of your presence at the time of the shooting and your injuries. That’s why it’s recommended to seek the legal advice of an experienced personal injury attorney to maximize your chances of obtaining compensation. What if the insurance company is withholding a death benefit? The family of Dennis and Lorraine, who died in the car accident, may be eligible to receive a death benefit if the couple was insured and their insurance policy was active at the time of the death. However, not every insurance policy may entitle the deceased’s beneficiaries to make a claim. Only those carrying a permanent life insurance, which lasts for an individual’s entire life, can get his/her family members a death benefit. Even if an insured individual dies in a car accident, his/her family members have the right to make a claim and get a death benefit. Some insurance companies may be delaying or withholding death benefits. In such cases, family members must seek the legal advice of a Los Angeles insurance attorney from a reputable law firm to get death benefits on their behalf. JML Law, a Los Angeles-based law firm with over 35 years of experience in the field of law, has handled thousands of car accident, insurance, and personal injury claims. Contact a Los Angeles attorney by calling JML Law at 818-610-8800 to schedule a free initial consultation.